There are many fascinating places where everyone wants to live, usually due to the natural characteristics of the place. These are special places such as the on the beach, or by the ocean. We are talking about a very special location that immediately refers to a high quality of life—relaxing and full of pleasures. 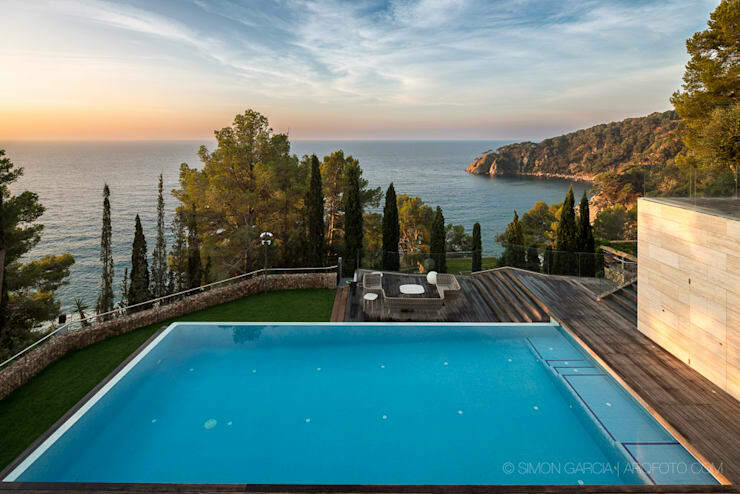 Today we travel to Spain, specifically a residence located in Tossa de Mar on the Costa Brava, designed by Studio DOS Architects, with an area of 2000 m², a fantastic pool, and stunning views of the bay and the sea on the Costa Brava, the paradise of Catalonia. It is definitely a dwelling that will make you sigh with its impressive interior which engages maximum comfort, practicality, and refinement. Are you curious to see this amazing home?! Take a look at this ideabook, and you will not remain indifferent! The arrangement of cubes we see here allows for the efficient integration of housing with the terrain, in addition to taking full advantage of natural light and the magnificent views you have in this location. 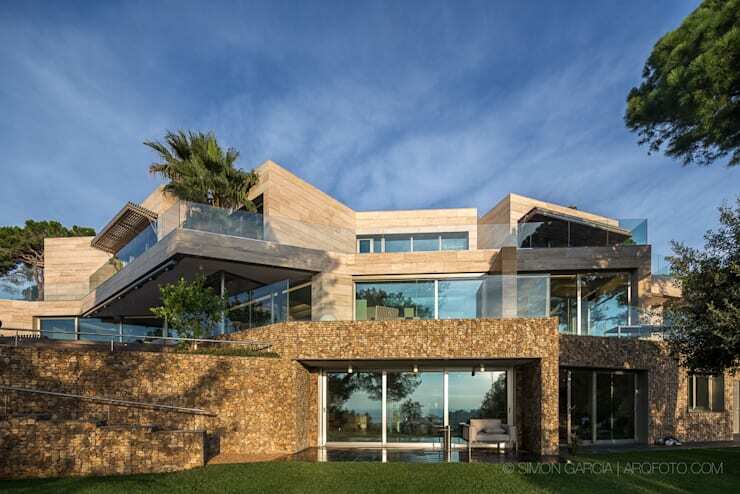 On the façade, contrast is created with the different stone compositions and the glass of large windows to provide the best relationship with the surroundings. In addition to the windows, there are large balconies with discrete glass banisters. The large building with modern architecture contrasts with the natural landscape, whilst simultaneous integrating quite harmoniously in it. The housing consists of a combination of stone coated cubes that have been adapted to the land that is steeply raked, with three floors. Here you can see the dimensions of which we speak to you about—dream spaces. With this image we get a sense of the magnificent pool, but we also see the natural landscape in all its glory. Both the interior and the exterior of the pool space and zone with the wooden deck have a privileged contact with the surrounding reality. Inside there are especially large glass windows that allow this interaction. Palm trees give a tropical look, while the deck space around the pool is super nice and the perfect place to relax. It includes several comfortable sofas to exemplify this sense of relaxation. The dining room is integrated harmoniously with the terrace which includes the pool. It is a large, modern room with very stylish furniture, like the wooden dining table and black chairs with a structure also in wood. These are simple and monochromatic elements that will highlight the landscape which is the backdrop of this space. There are still a few elements that jump in sight, like the lamp or the very original cabinet, but these are not overwhelming. Notice this spectacular living room—a super contemporary area and a space where comfort dominates. There are several sofas that come together in one, with cushions in bright tones of white and cream, a very harmonious combination. The living room includes a closet with TV. 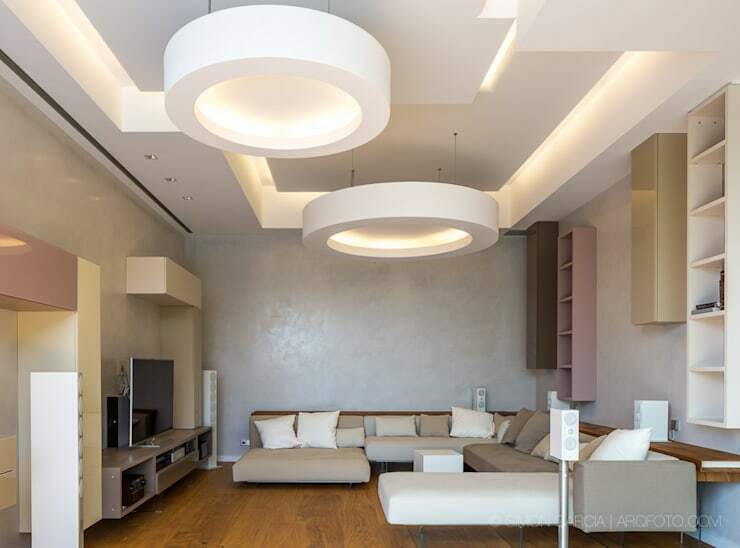 The atmosphere is upscale, promoted by the lighting which had been integrated into the ceiling as a frame and from which hangs two very modern lamps. The house has two kitchens with fantastic views of the sea. 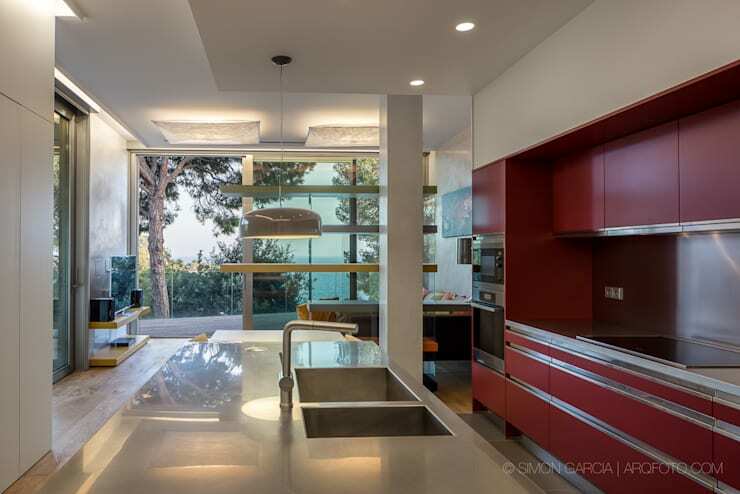 This space has enough colour, and the cabinets are red to contrasts with the white of the remaining elements. The bench and an island combines functionality and sophistication to produce the perfect culinary space. 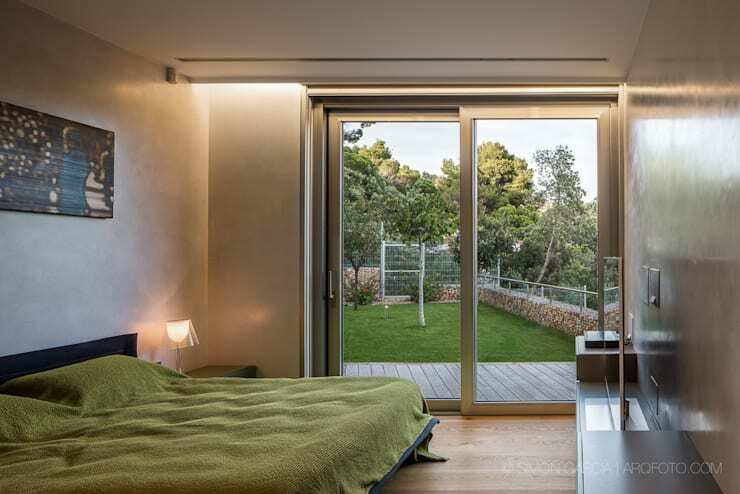 This bedroom is also integrated into the landscape and enjoys a very pleasant atmosphere. The rooms are located on the first floor and are built into the slope. This is a simple room with all the essentials: a large bed, a window to the outside, and balanced lighting. Comfort is guaranteed. This is a very special suite as it could not be in a house like this. A very comfortable bed and a large window are the main elements of this room. Natural light and views of the landscape permeate the space. The illumination was placed subtly on the window. 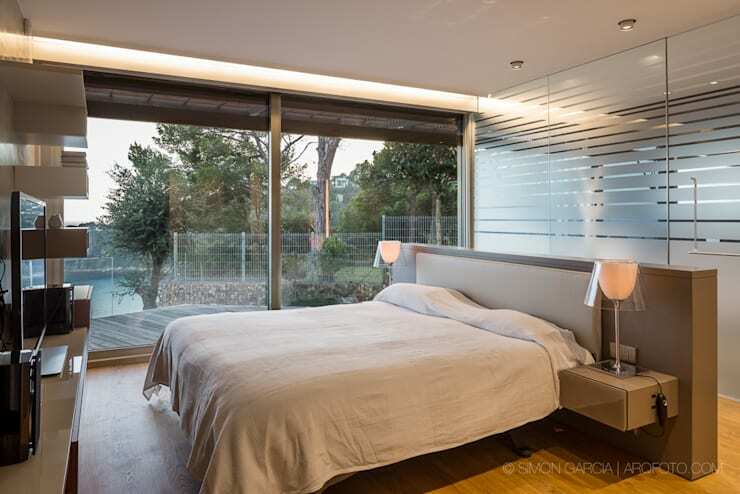 The headboard combines grey and lamps in a very modern element, and behind a glass wall we can see the bathroom. 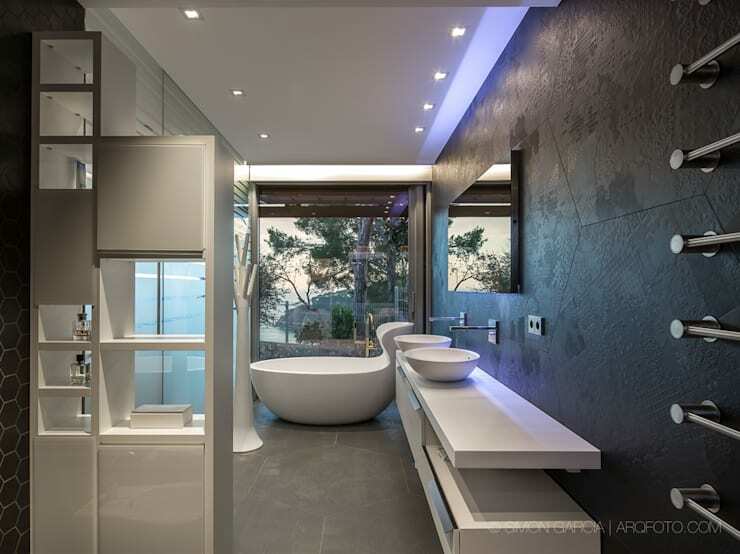 We are not disappointed by the sophistication of this bathroom! A stone-coated wall contrasts with elements such as glass and white fixtures like the cabinet and the tub to create a super modern and comfortable space. Here you have room for the body and mind to relax. A very unique room indeed! The terrace is a dream play area, the perfect place to contemplate the fascinating landscape of the Mediterranean Sea. Here we also see an integrated deck space with an elevated pool that ends in infinity pool. 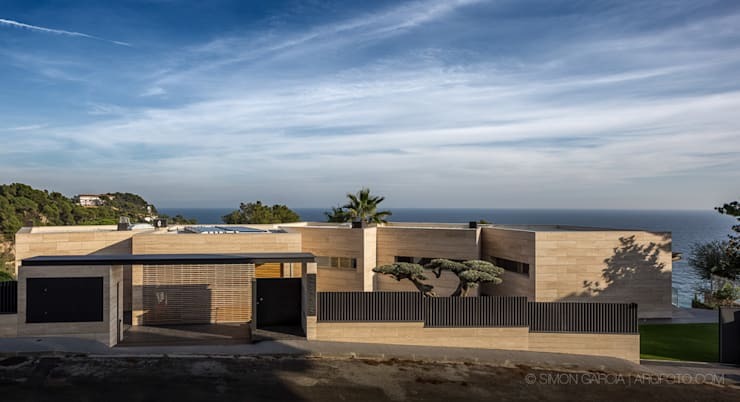 What can be more fitting than to visually join this gorgeous villa to the ocean? For another spectacular villa such as this that will make you sigh with longing, take a look at this: Exceptional home overlooking paradise. Which was your favourite room in this spectacular villa?